We released earlier this week a major update of the TMS FMX Cloud Pack. This new version adds a lot of new components covering seamless access to all kinds of interesting cloud services. Among the new services covered, two services from Microsoft stand out and open up new ways to enrich our Delphi applications with cool features. In this blog, I wanted to present the Microsoft Computer Vision and Microsoft Bing speech service. Our new components TTMSFMXCloudMSComputerVision and TTMSFMXCloudMSBingSpeech offer instant and dead-easy access to these services. Powered with these components, the idea came up to create a small iPhone app that let's vision impaired people take a picture of their environment or a document and have the Microsoft services analyze the picture taken and let Microsoft Bing speech read the result. 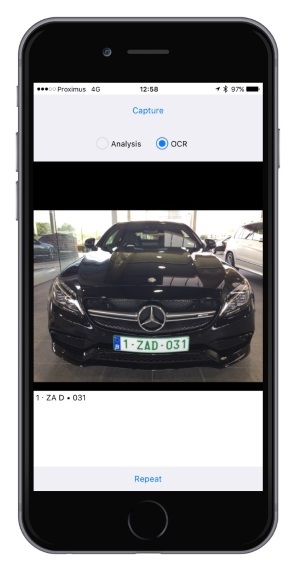 So, roll up your sleeves and in 15 minutes you can assemble this cool iPhone app powered with Delphi 10.1 Berlin and the TMS FMX Cloud Pack! Now that these components are also ready to be used, let's complete the DoDidFinish() method that is triggered when the picture is taken. This method returns the image taken. This image is saved locally and will be submitted to the Microsoft computer vision API for analysis. 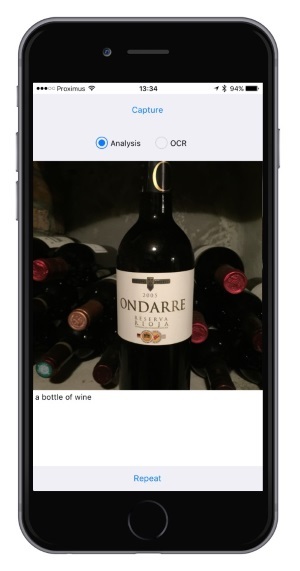 In the app, we added via a radiobutton the choice between regular image analysis or OCR. So, a TTask is used to start this analysis with the call TMSFMXCLoudMSComputerVision1.ProcessFile(s, cv). A TTask is used to avoid that the UI is locked during this analysis, after-all, the image must be submitted to Microsoft, processed and the result returned and parsed, so this can take 1 or 2 seconds. 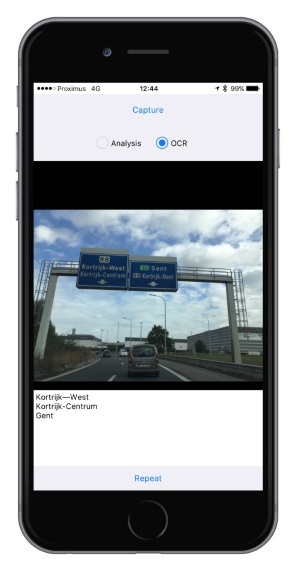 Depending on the analysis type, the result is captured as text in a memo control. After this, we connect to the Bing speech service. 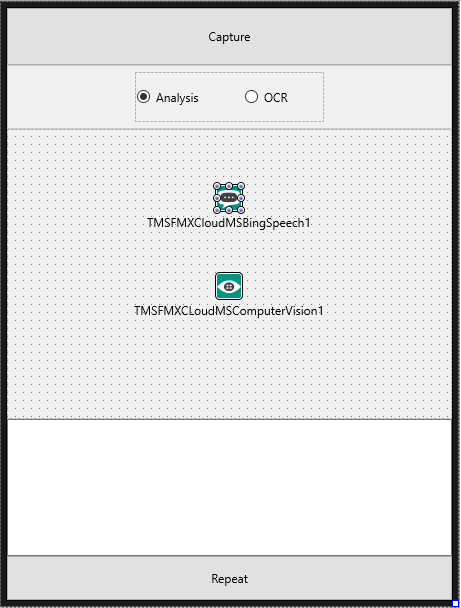 In the TMSFMXCloudMSBingSpeech.OnConnected event, we can then send the text for speech synthesis to the Microsoft service and as a result we retrieve an audio stream that is then played through the device. So, it doesn't take much more than this to enhance the life of vision impaired people a little and let the iPhone read out what is around them or help with reading documents. Now, let's try out the app in the real world. Here are a few examples we tested. 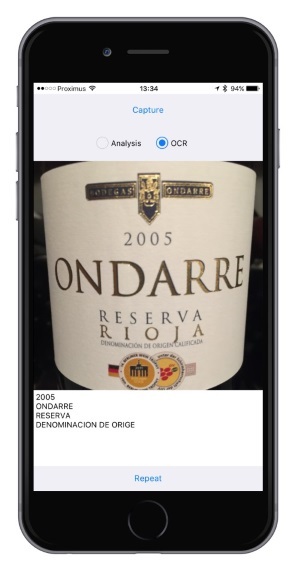 First the app analyzed correctly this is a bottle of wine in the cellar and is then pretty good at reading the wine bottle label. 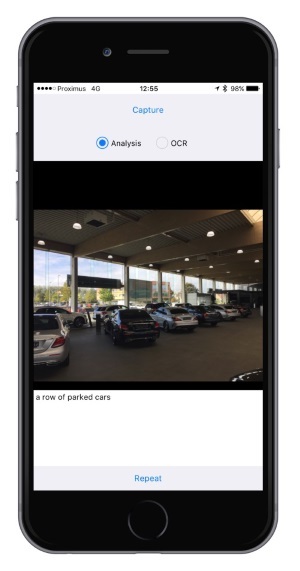 You can download the full source code of the app here and have fun discovering these new capabilities. This blog post has received 6 comments. 2 - Why only iphone works? 1) Did you obtain a proper API key for Bing speech? 2) We tested this sample for iPhone but I expect this to work for Android as well. I don''t see much reasons it wouldn''t work for Android in fact, but I haven''t tested it here so far on Android. What exact issue on what exact Android version with what exact Delphi version? We got meanwhile confirmation from other users the code works also on Android, so, there must be something specific when your IDE / Android then I guess. I am trying to run the example, but have the feeling that Microsoft introduced new APIs so maybe it is not working anymore. Or maybe the keys are get from Microsoft are for the new v2.0 API. Can you please confirm that this example is working and if so, how exactly the properties of the controls are set. Thank you very much in advance.